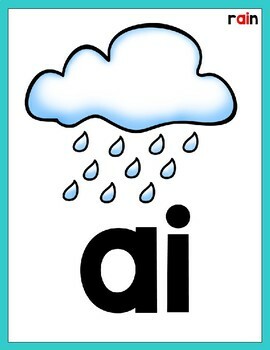 This product is perfect for introducing vowel teams to your students. 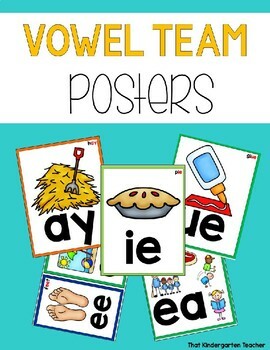 It contains 8 vowel team posters perfect for ANY classroom. Each poster has large print and clear pictures to see. 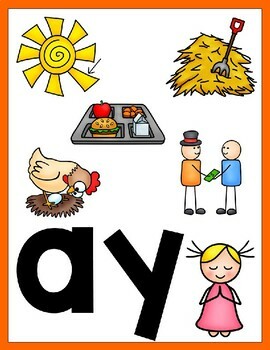 There are smaller versions of each poster available for classrooms with limited wall space or small group work. 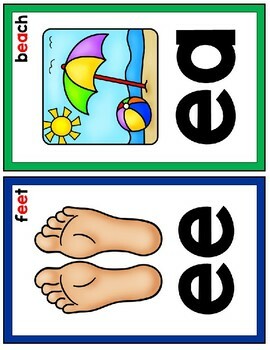 Follow me on <a href="https://www.facebook.com/ThatKinderTeacher/?ref=bookmarks">Facebook</a>!